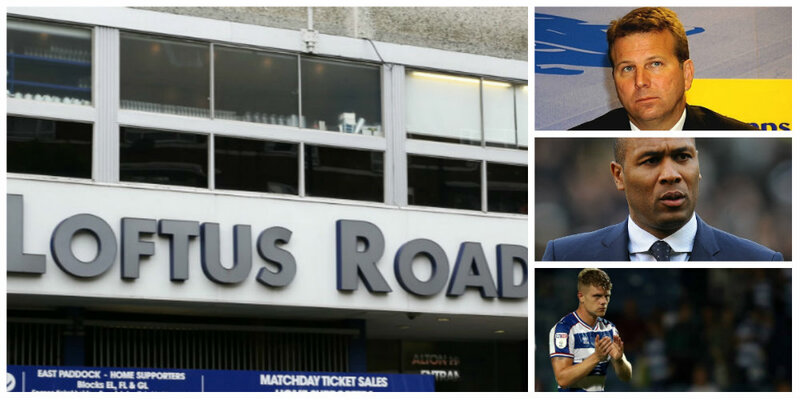 With the end of the season approaching, there has been much speculation about QPR’s financial position and the futures of some of their players. How will Financial Fair Play affect the club’s prospects for next season? Can they offer new deals to their out-of-contract players? How much money will Rangers lose as a result of no longer receiving parachute payments? And how will their budget compare to other clubs’? Here’s a look at the state of play. Rangers are bullish about their ability to comply with FFP. The rules are often misunderstood. They are applied over a three-year period, during which the maximum cumulative loss permitted is £39m. So, for example, a club losing £15m in year one, £15m in year two and £8m in year three would be compliant. A number of players are out of contract this summer, most notably Jake Bidwell, Pawel Wszolek, Jordan Cousins and Joel Lynch. All have been told their futures will not be addressed until the end of the season. Whether that changes should Rangers become mathematically safe from relegation remains to be seen. There has been the inevitable speculation over whether or not Rangers can keep them – which is somewhat futile because the club hold options in all four contracts to extend them for 12 months. This means there will be none of the usual negotiations with out-of-contract players and therefore no repeat of last year’s situation with Jack Robinson and Nedum Onuoha, unless Rangers were to offer a lower wage than is set out in the options to extend the contracts. The question then is whether QPR will extend those contracts. The club have been looking for potentially cheaper options in all four positions. Wigan’s Gavin Massey, for example, has been looked at. But he has had injury problems and is just one of several wingers approaching the end of their contract who Rangers have considered as a potential alternative to Wszolek. Reports in Portugal recently picked up on QPR sending a scout to matches there, prompting speculation about who might be of interest. Rangers scout Kevin Reeves did recently watch games in Portugal but it was a general look rather than with anyone specific in mind. The fact the club could make significant losses on the four players, as well as Conor Washington, who last year left for Sheffield United, is testament to how poor their recruitment was during Jimmy Floyd Hasselbaink’s time as manager. This is often overlooked amid the hand-wringing over the club’s transfer dealings in the preceding years. In the case of Bidwell, he is a consistent performer with excellent fitness levels who would have been virtually ever-present had he not been unfortunate enough to suffer shoulder injuries. So he has represented a form of value for money and might not be easy to replace. Wszolek is well liked because of a great attitude and work ethic, but his current wages mean there are likely to be more cost-effective options out there. Given the high hopes for Cousins when he arrived from Charlton with a reputation as a young player of real promise, losing him on a free transfer would be galling for QPR. But then so too would continuing to pay a sizeable salary for the general level of performance he has produced. Lynch has enjoyed a better season but overall can hardly be regarded as a success. In short, if Rangers can replace all four with viable, cheaper options, they will. Otherwise, the wages those players would remain at the club on have already been agreed in their current contracts, which QPR can extend. One of the major financial challenges facing QPR is the end of the parachute payments given to clubs over a four-year period following relegation from the Premier League. The final payment was around £17m. The loss this year is somewhat offset by a Premier League solidarity payment, which is given to EFL clubs who do not receive parachute payments. That sum is expected to be around £4.4m, so the net drop in income will be around £12.6m. So what will QPR’s budget be like? This is of course is the key question. The cold realities of FFP and other challenges mean Rangers’ budget will continue to tighten. On the face of it, this will put them on the kind of budgetary level the likes of Rotherham, Millwall and even Burton have had to operate at in recent seasons. However, the FFP train is fast hurtling towards other clubs. Some of them are very worried indeed – although they won’t admit it publicly because doing so would affect their bargaining position when trying to offload players. And make no mistake, clubs are generally looking to offload players left, right and centre this summer in an attempt to get their houses in order with regard to FFP. 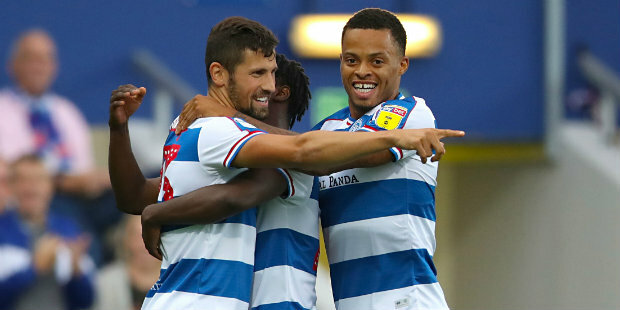 With clubs no longer able to throw money at average players, it is very possible that QPR’s cutbacks will be mirrored by wages across the board beginning to fall. So it’s hard to say at the moment where Rangers will end up ranking in the Championship food chain. It might be higher than many expect. Take the example of Sheffield Wednesday and Jordan Rhodes. It’s a purely random example – it could be any number of players and clubs. Rhodes was signed for around £10m, failed to deliver, and last summer Wednesday were desperate to get him off their wage bill. He joined Norwich, where he has managed just six league goals, and this summer is due to return to Hillsborough. Unless he rediscovers some form or Wednesday find another club to take him, they face the prospect of his huge wages significantly affecting their options as they try to comply with FFP. Other clubs face similar situations – but Rangers aren’t one of them. They have overpaid players whose wages they could do with shedding, but with the likes of Sandro and Steven Caulker gone there is now no equivalent of Rhodes at QPR. In other words, while rival clubs will have larger budgets, many will also carry much heavier dead wood. So as Rangers’ budget tightens, the true strength of that budget relative to other clubs’ is unclear at present. Ah yes, JFH – I had forgotten about him. Get the squad sorted for next season, crack on towards the Premiership AND get the stadium sorted, Loftus Road is far too small to be a viable option to stay, LC stadium seems to me to be the best option currently on the table. Lets get behind the club and ensure it happens.